Why is there a difference between the solid waste rates charged in the L3 area of the District (San Leandro) and the rates charged in the other areas (L1 – Unincorporated and L2 – Hayward)? The District and the City of San Leandro entered into an agreement according to which Oro Loma is under obligation to provide a different level of service to the L3 customers. Additionally, San Leandro imposes on the District a 12% franchise fee for the privilege of servicing the City residents whose properties are located within Oro Loma’s boundaries. Where did my (green, recycling, garbage) cart go? I put it out to be emptied; now it’s gone. It could have fallen into the truck; been mistakenly taken by a neighbor; or stolen. Call Waste Management at 510-613-8710 for a replacement. My recycling was not picked up? What is my recycling week? Recycling is picked up every other week. Call Waste Management 510-613-8710 to find out which schedule you are on, Schedule 1 or Schedule 2. How do I recycle my old cell phone? How about used batteries? How do I start/stop garbage service? What do I do with my e-waste (computer, TV, fax machine)? I need to schedule a bulky pickup. What can I put out for collection? Call Waste Management 510-613-8710 to schedule your bulky pickup, at least two weeks before you would like the service. Pickup will be on the same day as your regular garbage service. Details about bulky pick-ups can be found here. What are the current garbage rates? Complete charts of all residential and commercial/industrial rates can be found in the Exhibits at the end of Ordinance No. 34-41, effective September 1, 2016. If you live in the Unincorporated Areas or City of Hayward, your rates can be found here; if you live in the City of San Leandro, your rates can be found here. My garbage/green waste/recycling has not been picked up? Call Waste Management 510-613-8710 to report a missed pickup. What must NEVER be flushed? Flush only toilet paper in the toilet. Do not flush other items. This includes not flushing: baby wipes, tampons, applicators and pads, bandages and sticker backs, cleaning wipes, prescription and OTC medications, condoms and their wrappers, teeth whitening strips and their wrappers, hair, Q-tips and make-up pads, Maxi Pads and their wrappers, kitty litter, dental floss. For more information read the Rethink What You Flush brochure. Call Oro Loma at 510-276-4700 to report the backup, and request to have the main sewer line in the street checked. If the main is clear, you may need to contact a sewer drain and cleaning company, or a sewer contractor, for help. For more information, read the Got Sewer Trouble? brochure. Homeowners are responsible for the maintenance and repair of their own building sewer and lateral pipes, up to and including the connection to Oro Loma’s main sewer line located in the street. Oro Loma has permit authority and inspection jurisdiction for building sewer repairs, and you must obtain a permit before starting any work. You or your contractor can obtain a permit at our District offices at 2655 Grant Avenue, San Lorenzo, CA. The cost is $280, which includes the inspection fee. The District accepts cash or check only; sorry, no credit cards accepted. Typical industry cleaning equipment uses high-pressure water to clean sewers. During this process, air within the main pipe is displaced and sometimes goes up the private lateral pipe and releases through the toilet. This is sometimes referred to as a “bubbling toilet”. For more information on “bubbling toilets”, click here. To find a list of open recruitments, please click here. How can I learn more about working in the wastewater field? 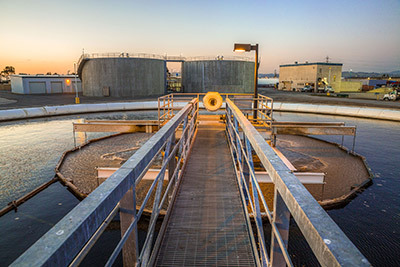 For information on becoming a wastewater treatment operator visit www.cwea.org and www.bacwwe.org. Where can I find information and/or specifications and contract documents on a job out for bid? You can visit the District’s Engineering office at 2655 Grant Avenue, San Lorenzo, CA, or you can click here, and be redirected to the Engineering website. To view the contract documents of a job out for bid online, you need to register, at no cost, and then you will be able to download the packet in PDF format. Can I get a copy of the Plan-holders list? Click here to visit the Engineering website, where current projects out to bid and plan-holder lists are maintained. Who was the low bidder? For information related to a project that has bid, click here.